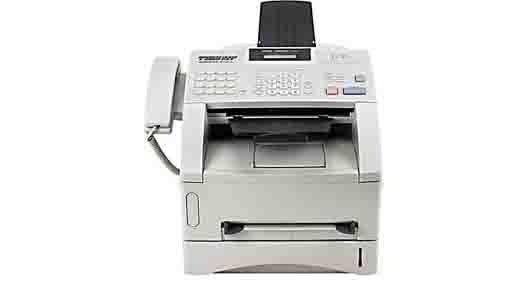 This Business Class Laser Fax with 8MB memory can store up to 500 pages for out-of-paper reception or fax broadcasting to up to 182 separate locations. A 30-page auto document feeder, 250-sheet standard paper capacity and 132 station auto dialing standard combine with a high monthly duty cycle and high yield consumables to handle demanding business applications. With a super G3 33.6 Kbps fax modem the Fax-4100e delivers high speed, performance and reliability at low operating costs. It also copies at up to 15 copies/minute, sorts, enlarges and reduces.